The complex was developed by a renowned architectural firm Revuelta Vega Leon and designed by Key International. This contemporary condominium is spread over 13 acres of beautifully landscape property, featuring beautiful infinity pools, marvelous barbecue & picnic spots, tennis courts, a fully-equipped business center, a playground for kids, the fabulous Spa & Health Club, spectacular Meditation Gardens, an exquisite restaurant and bar, and around-the-clock service and security. Most important of all, the Ivy at Riverfront can accommodate yacht owners. There are wonderful dock facilities spread over the 900 feet of riverside land, a few minutes away from Biscayne Bay waters and the ocean. Everything here serves for your pleasure and utmost comfort. There are 12 distinctive floor plans to choose from. Residences range in size from 822 to 4,591 square feet. There are 1, 2 and 3 bedroom units available for sale, as well as a few luxurious penthouses. The Ivy at Riverfront comprises 45 floors with 498 residential units in total. The complex offers beautifully furnished modern residences with dramatic floor-to-ceiling windows and glass balconies that feature breathtaking views of Miami Downtown, Ultra-modern Brickell area and the waters of Miami River. Residents of the condominium have access to exclusive concierge and valet services, laundry service, wireless high-speed internet and more. All units are equipped with touch screen panels for instant communication, modern European cabinetry, stainless steel state-of-the-art appliances, spacious walk-in closets, washers and dryers etc. 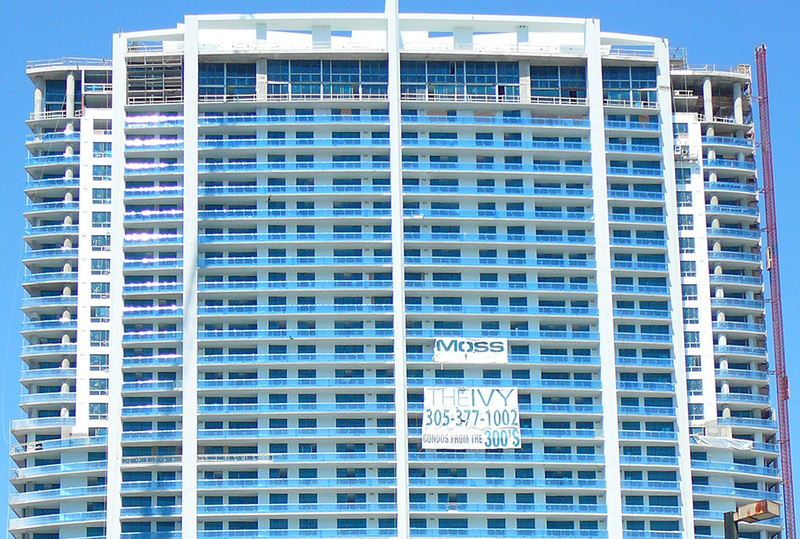 Your every wish will be anticipated and every need will be looked after, here at the Ivy Riverfront Condominium.